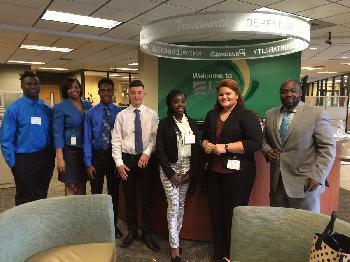 At USF Federal Credit Union our goal is to deliver excellent service. What does that mean? We’re glad you asked! We believe that service goes beyond providing value to our membership. 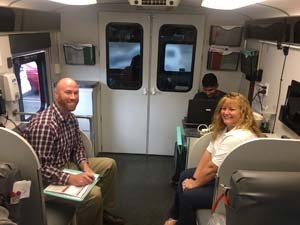 As a way of fully conveying this promise, we donate our time, dollars and even blood to local causes. 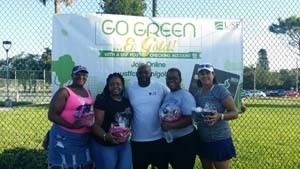 Here at USF FCU, we strive to contribute needed resources, support the University of South Florida’s academic, alumni and athletic programs, foster learning initiatives, and give to charities in our surrounding communities. Don’t just take our word for it – look back at last year (2017) and the difference we were able to make together. 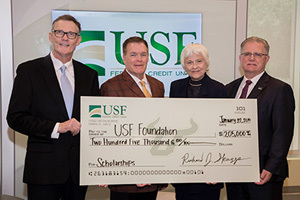 Sharing USF’s name carries significant meaning for our credit union and as such, we strive to help strengthen the university’s reputation through contributions and exceptional service. 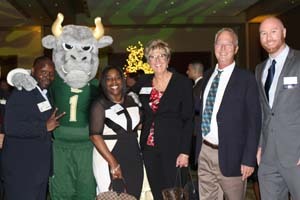 We are a member of the LeRoy Collins Society of the University of South Florida President’s Council. 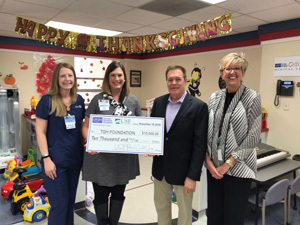 This designation is reserved for those who have donated a minimum of $500,000 cumulatively to USF; a very exciting milestone for our credit union! 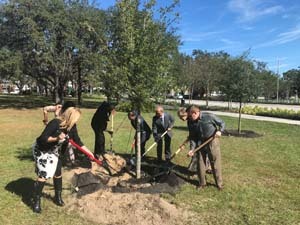 In addition to our partnerships with the USF College of Health and Muma College of Business, we support several other organizations and student activities on campus. 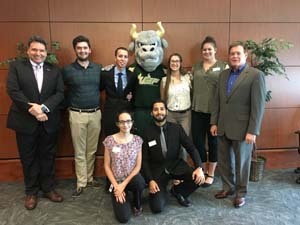 In 2018, we contributed over $93,000 to the following organizations, student activities and scholarships for USF. Every new card issued and purchase made with an Official USF debit card or rewards credit card provides valuable financial support to the USF Alumni Association and Student Programs.